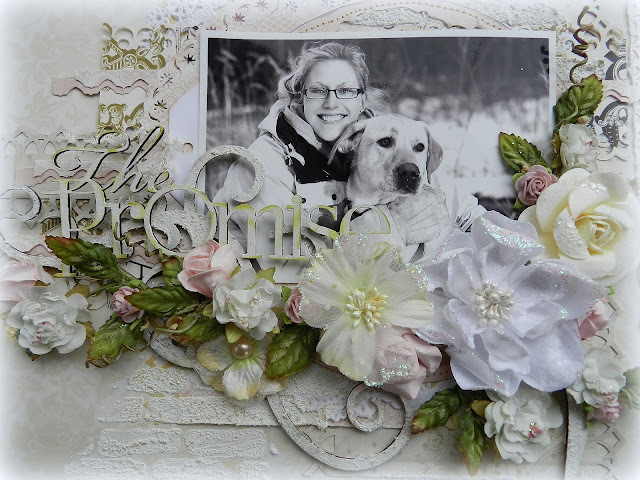 Erin Blegen: My Scrap Cabin: My first layout as a Once Upon A...Sketch designer!!! My first layout as a Once Upon A...Sketch designer!!! We would like you to create a layout and interpret the theme "Friend" however you like based on the following sketch. You can journal as little or as much as you like, but your layout must incorporate this theme and the sketch below. Please make sure that we see some sort of journalling on your layouts and please tell us where your journalling is . Hidden journalling is perfectly fine. Ideas for journalling: one of your current friends, a childhood friend, an unexpected friendship,what having friends mean for you, a friend that you miss or have lost, family member who is your closest friend, a scrappy/online friend, a special person that has touched your life, someone who has helped you out lately, a friend that you couldn't do without, your children's friends / classmates etc., your pet and the friendship you have with it.. I've included a ton of gorgeous Prima flowers on this one! This beautiful title is from Scrap FX. I painted it white and then used a Prima Chalk Fluid Edger Pad to dab on just a bit of green ink to help it stand out. 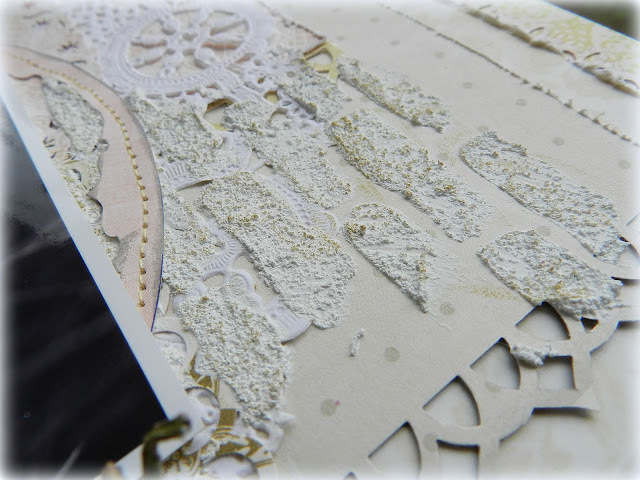 Some masking with texture paste and a brick mask from The Crafter's Workshop. 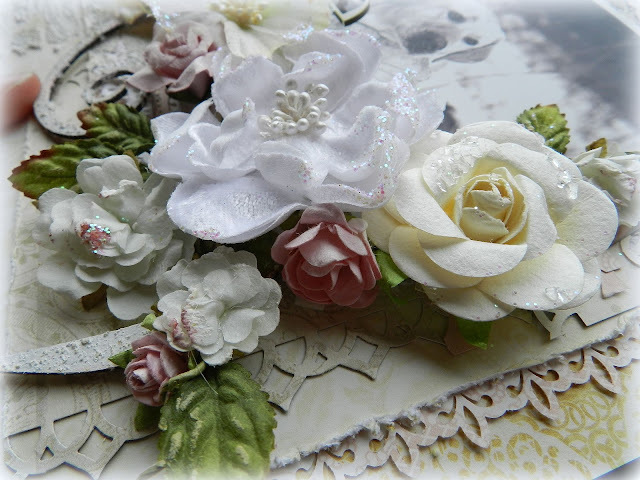 The large chipboard flourish under my flower cluster is also from Scrap FX. I LOVE how big this flourish is- it was the perfect foundation for all of my florals! We have 2 new featured sponsors this month. The first one is a gorgeous etsy shop by one of our newest Design Team member's Kay Fatula. Please welcome to Once Upon A...Sketch Kay's Kreative Korner. 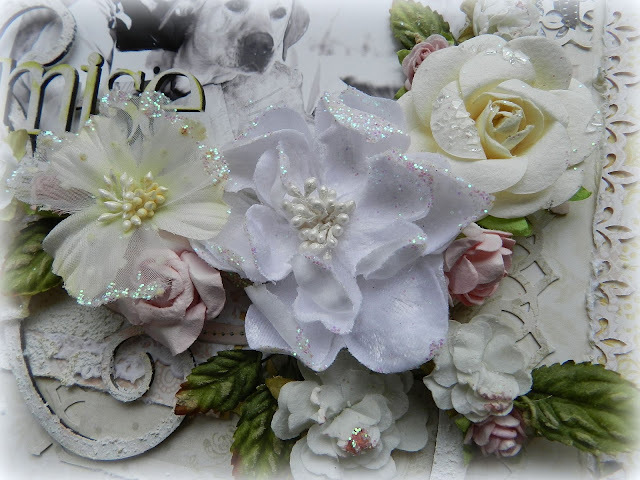 Scrapbooking Fantasies has donated TWO ribbon packs (for 2 winners) from Scrapbooking Fantasies . Each prize is valued at over $10AUS each and contains 25 half metre lengths of ribbons, trims and lace in shades of pink and aqua from quality brands, plus FREE international postage!! And as if that weren't enough, there are FOUR RANDOM prizes to be won as well!! Check them out over at Once Upon A...Sketch---> HERE!! ** The deadline for this challenge is midnight July 31st, Australian Eastern Standard Time . The Design Team will vote and the Top 5 layouts PLUS Top 5 featured layouts will be announced soon after the challenge has finished. Have a great day and will be seeing you soon!!! Your layout is Stunning! They are lucky to have you on their design team! Gorgeous details Erin!!! 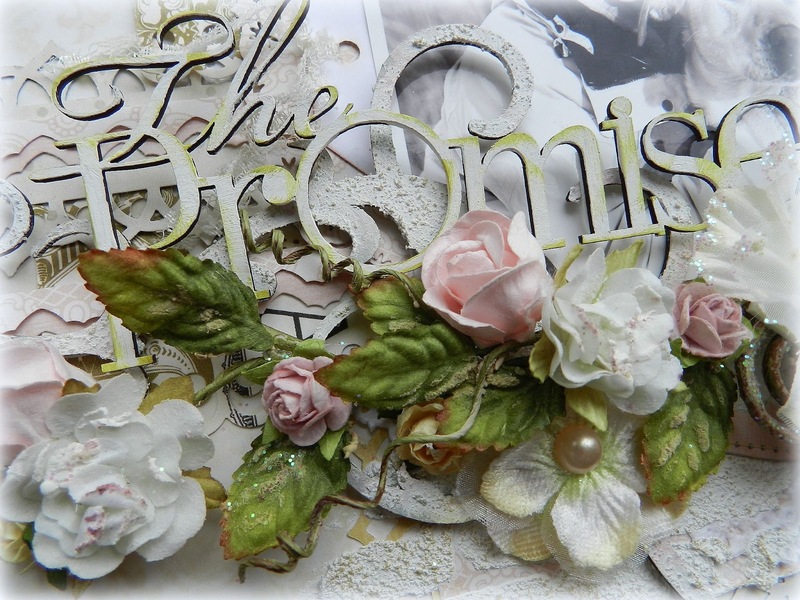 Love all of the Scrap FX chipboard!! Totally gorgeous my dear. 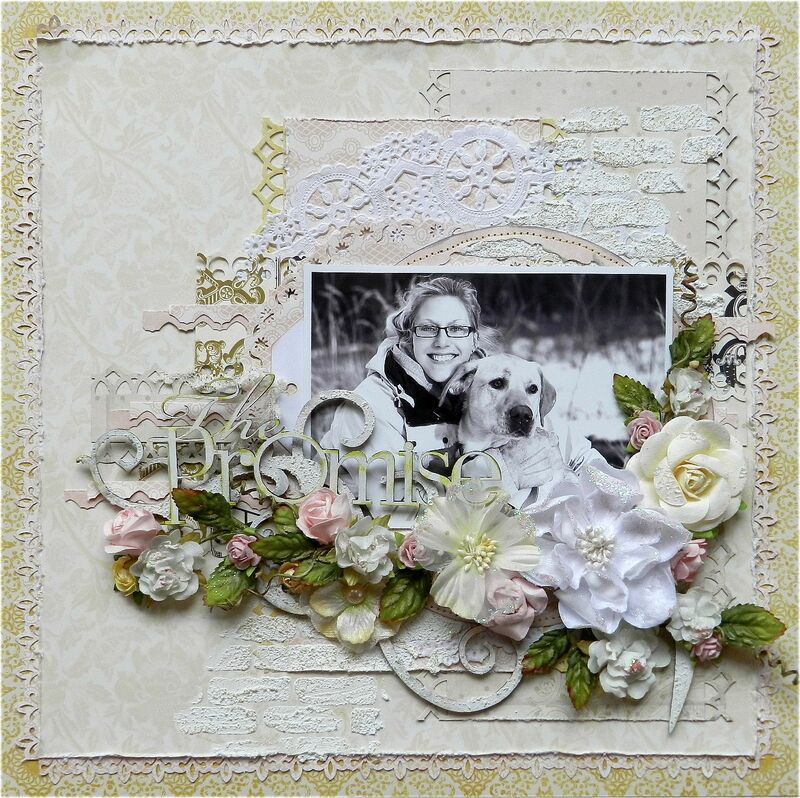 Love the muted palette - so soft and gentle - your friend will love this layout I'm sure! Beautiful , & what a lovely, special present...her dog is cute, too!!!!!!!!! GORGEOUS!!!! Such a great frist reveal!!! That flower spray is divine! Stunning layout. This is so beautiful, Erin!!! Such a nice gift, I know Desi will love it! Erin this is gorgeous!! love that you made a layout about your special friend, girlfriends are the best, and I love your jar project for SF, so very cute! We lost power and water due to a bad storm here and I am now at my hub's work getting caught up on my blog hopping...lol...can't wait to get my computer back!! Oh how feminine and so beautiful.. the white tones are so cool and clean and really stunning.. love the flowers, and your friend will adore this!! Love how you used the soft colors and the negative space. Amazing work. You really rocked this sketch! It's such a gorgeous, soft layout! Your colour scheme is so pretty. what an awesome layout and that photo is just adorable! Wow, this is simply stunning, Erin!! Every bit of detail is just a.m.a.z.i.n.g. This is just extraordinary. so so so beautiful! This page is totally stunning, Erin!!! Love the overall white and soft colors with the touches of green from the leaves, popping off the page!! Beautiful reveal for your first page at OUAS!! Such a beautiful layout, and gorgeous pup! Awesome interpretation of the sketch and theme. Lovely page! Beautiful Lo Erin!! love your soft style its always so romantic!! I want to sit and stare at your layout - it is so beautiful and designed so well - Love the color choice too - simply gorgeous! Erin this STUNNING!!!!!! so much love in every detail! amazingly beautiful and stylish project!!!! Your page really is STUNNING with capital letters! there is something about tone-on-tone layouts that makes my heart to into warp speed, totally adore this Erik! everything on it is just so exquisitely executed. This is one of the best pages I have seen in a while, adore it! Mwah! Great big congrats on the new DT spot! Your layout is just a perfect take on the sketch! I love the photo so much!!! You scrapped it beautifully!!!! Oh, and I love your blog, too! Timely post . Just to add my thoughts , if someone are looking for a service to merge PDF or PNG files , my company encountered a tool here ALTO-Merge.